So, apparently “light music” is a genre. You classical nuts out there may scoff at my ignorance, but the term just seems too generalized, if, you know, you ask me. Light music has many siblings under the easy listening roof, and is sometimes considered concert or mood music. Man, to deconstruct all the little orphans that make up the easy listening compound seems, at first thought, an exhausting undertaking, so I’m going to squash the impending headache and am never considering tackling that nightmare ever again. 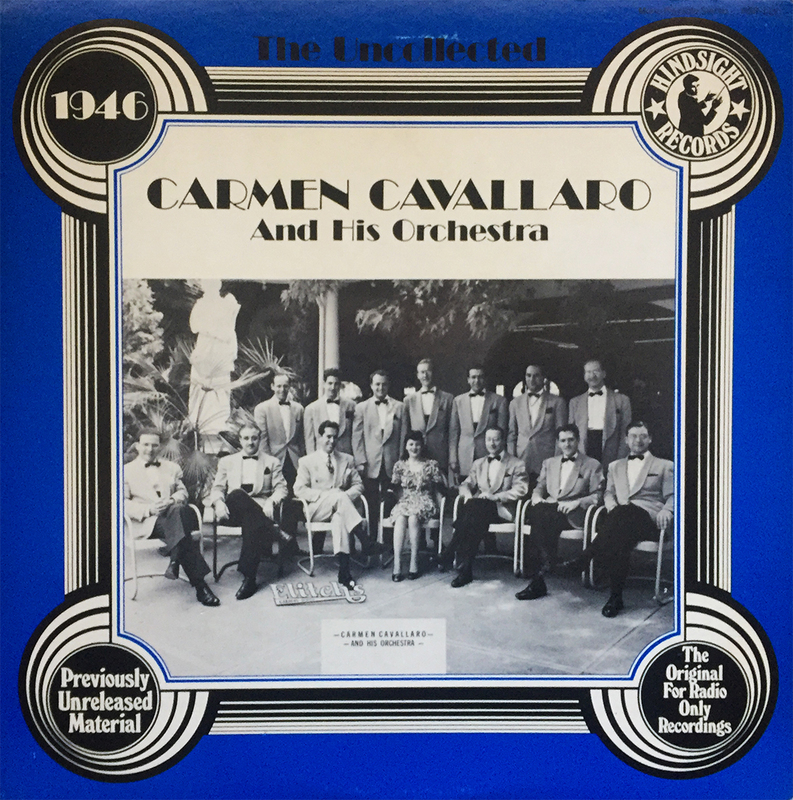 Anyway, sidetrack aside, this 1977 collection of 1946 radio-only, unreleased material by Carmen Cavallaro and His Orchestra is a great way to set an ambient tone for an in-home dinner date, or to completely derail a house party filled with deviant hipsters. Both are pleasant thoughts, and The Uncollected Carmen Cavallaro and His Orchestra 1946 is a terribly pleasant listen.